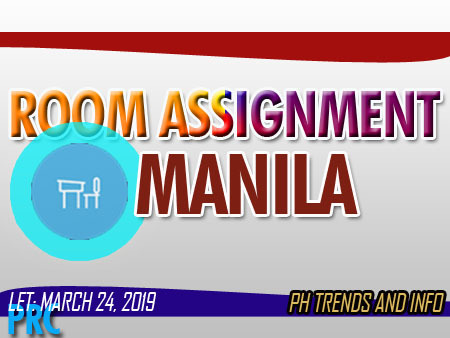 Home LET March 24, 2019 NCR - LET Room Assignment for Elementary and Secondary. March 24, 2019 NCR - LET Room Assignment for Elementary and Secondary. Examinees should report before 06:30 in the morning every examination day. LATE EXAMINEES WILL NOT BE ADMITTED.